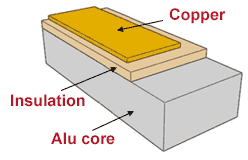 Metal core or IMS (Insulated Metallic Substrate) circuit boards are an excellent alternative to standard circuit boards, if the circuit boards are exposed to large mechanical loads, or a high level of dimensional stability is required, or high temperatures must be conducted away from power components or LEDs. 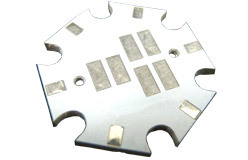 Benefit from our many years of experience with Insulated Metal Substrate (IMS) PCBs. The thermal conductivity assisted by the aluminium core in the circuit boards enables higher packing density, more stable operating parameters, higher operational safety and a reduced failure rate. Ideal e.g. for laser diodes! 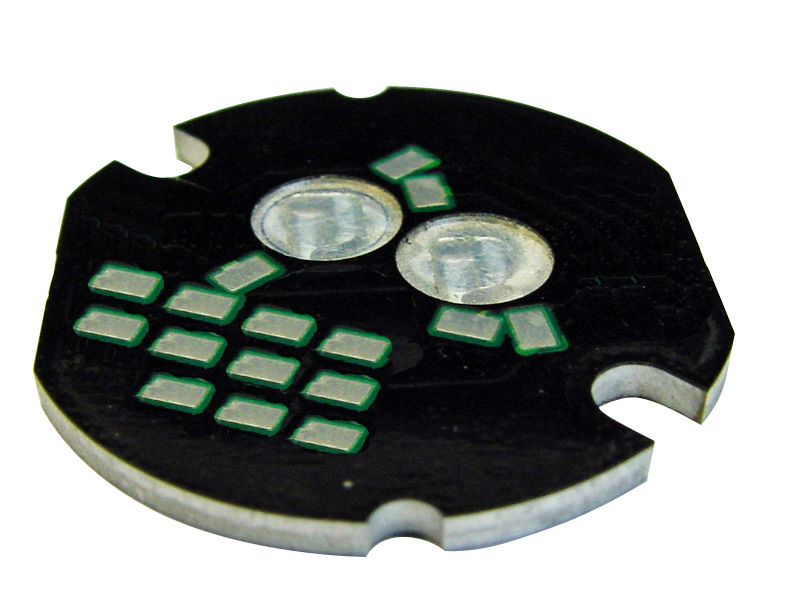 The integration of the cooling unit in the printed circuit board also results in space savings. Additional application areas for this technology include: high current application, power LED's, SMD and power circuit boards. The high thermal conductivity and small insulation thickness (standard: 100µm) permits a quick and effective transfer of the heat produced. You can order single sided, double sided and double sided pth aluminium core circuit boards from Multi-CB (see: layer buildup). Depending on the design, the thermal conductivity ranges from 1.0 to 8.0 W/mK (the value for FR4 is approx. 0.3 W/mK). The option Z-axis milling of the insulation also allows a direct connection of the components to the aluminum core by means of thermal paste (or similar). 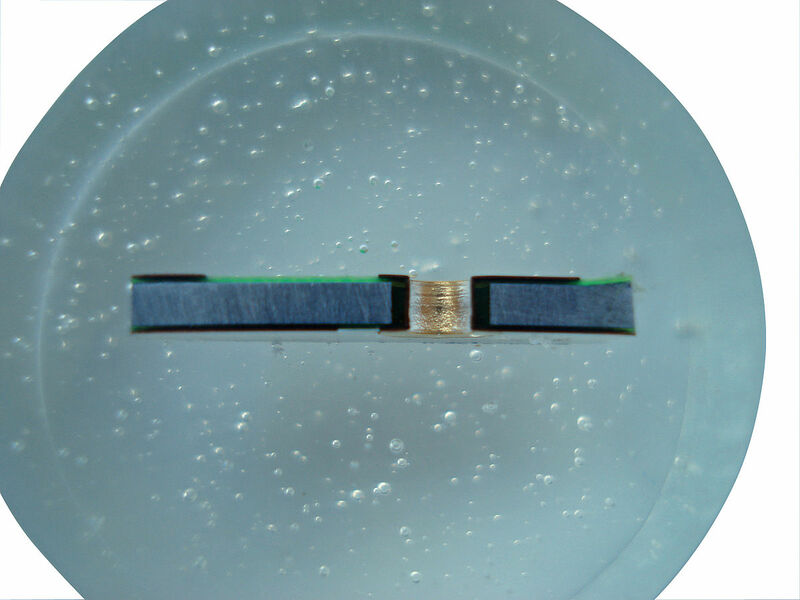 Bendable metal core printed circuit boards with ceramic-based insulation can also be produced. At Multi-CB, you also get Metal core circuit boards with UL certification.